Photo by Alexander Rodchenko, 1924. Ne poputchitsa, 1923. 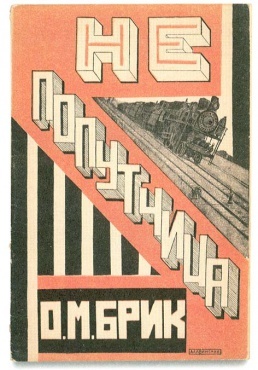 Cover by Anton Lavinsky. 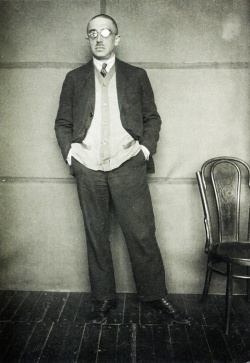 Osip Maksimovich Brik (Осип Максимович Брик; 1888–1945) was a Russian avant-garde writer and literary critic. Bengt Jangfeldt, "Osip Brik: A Bibliography", Russian Literature 8 (1980), pp 579-604. 2nd Osip Brik International Colloquium: Methodology and Practices of Russian Formalism, 2013. This page was last modified on 10 December 2017, at 15:48. This page has been accessed 12,392 times.